Old wives tales have told us acne is caused by oily skin, so using moisturizer can be nerve-wracking when you have problem skin. It only seems natural that adding oil to oily skin is playing with fire. Not so! There are a few all-natural, oil-based moisturizers for acne-prone skin that you can make at home in minutes. 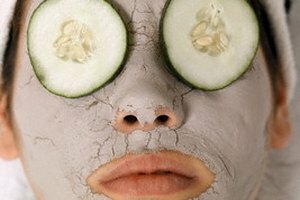 They're effective, and best of all, you don't have to spend tons of money on expensive acne treatments if you use these homemade remedies regularly. Before you moisturize, you should always start with a clean face. If you don't wash your face you're locking in impurities, which only makes acne worse. After cleansing, rinse with water until your skin is completely free of cleanser residue. If you don't want to use store-bought facial cleanser, try slicing a potato in half and rubbing it over your face. The enzymes will break up impurities and leave your skin clean and ready for moisturizer after you rinse. Essential oils are some of nature's best defenses against acne. Lavender, in particular, is really effective. Lavender essential oil contains high-powered antibacterial and anti-fungal agents that work double-time to both clean and calm the skin. You can find lavender essential oil at any natural food store. To use as a natural moisturizer for acne, simply place one to two drops into a tablespoon of carrier oil (jojoba works best for acne-prone skin), and apply as you would a regular moisturizer. 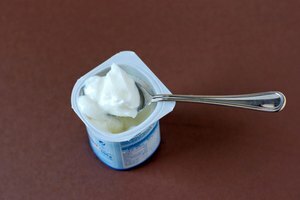 It may seem a little odd to spread yogurt on your face, but it's a worthwhile effort for clear skin. Yogurt contains good bacteria called Lactobacillus, which battles the impurities that cause acne. It's also highly moisturizing while being slightly drying, helping to lighten scars caused by pimples. After you've cleaned your face, apply a thin layer of plain (not sweetened or flavored) yogurt onto your skin. Allow it to sit for 10 to 15 minutes, then rinse well. You can keep acne-prone skin both clean and moisturized by washing your face with oil. The main base for this treatment is castor oil, which is drying and cleansing, dissolving oil and impurities on contact. When using this treatment you don't need to wash your face with cleanser first. Mix together 2 tbsp. castor oil and 1/2 tbsp. of grapeseed oil and apply liberally to your face, rubbing slowly in an upward motion. Do this for five to 10 minutes, then remove the oil slowly with a warm, damp washcloth. One last - and very important - consideration is that healthy skin is the product of a well-hydrated body. One of the absolute best combatants against acne is to drink plenty of water. Not only does this detox your body on the inside, but it helps the integumentary system keep itself clean on the outside. In addition to drinking several glasses of water a day, eating a daily serving of yogurt has been shown to decrease acne breakouts. Studies show that yogurt helps balance the acidity/alkalinity of the body, resulting in suppler and clearer skin. 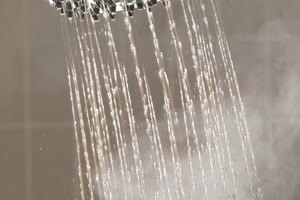 Does Showering With Baking Soda Help Soften Your Skin?